We know that students often need the extra income a part-time job can provide to help them live while they study, we also know that students are increasingly concerned about improving their long term employability and prospects now. In this section you can see the latest vacancies advertised by our Jobs Service (including any opportunities with the Students' Union). 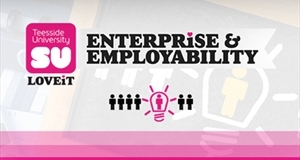 You can also check out our enterprise and employability service which provides help and support with everything from sharpeing up your C.V. right through to developing your own business ideas!